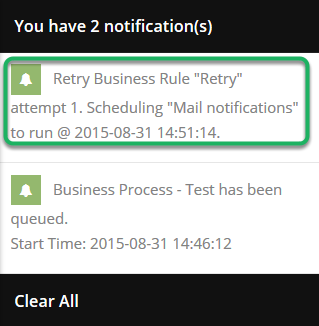 Documentation and SupportReleases 2015-09-29 ReleasesRetry business rules will now notify you of completion. It will also state how many attempts it made. Prev: Copying a table will now allow you to copy views, pivots, and charts. Next: You can now set a maximum number of selections for 'Multiple Drop Down' field type.